Track Your Adventure Number One: Swan Lake Iris Gardens | Sumter…In the Middle of Everything! ← Get Your Passport to Adventure! Wow…only one month after its initial launch, the Sumter CVB’s “Passport to Adventure” has already entered its second printing. We certainly hoped it would be successful, but this may have been beyond what anyone dreamed! Now, summer’s here, and the time is right to get more closely acquainted with this wonderful community we call home. Just in case you haven’t heard, “Passport to Adventure” is a booklet (available at the Swan Lake Visitors Center and each participating location) detailing 22 places to go and things to do in Sumter and surrounding areas. Each adventure is, as the booklet describes it, “a little different, but enjoyable to say the least,” and can be any place from a well-known attraction such as Swan Lake Iris Gardens to a hidden jewel like the LeNoir Store or Boykin Broom Factory, or anything in between. Some involve a quick visit, others a planned day trip or an evening event. At each location, visitors receive a stamp—just like a real passport—and the first 1,000 booklets to have all stamps completed can be redeemed for a commemorative gift at the Swan Lake Visitors Center. But be aware that it’s more challenging than it sounds—some attractions are open on a seasonal basis only, and others are in the outer reaches of the county, far from the beaten path. As mentioned in our May 12, 2015 post, we will explore each of the 22 locations over the upcoming weeks. 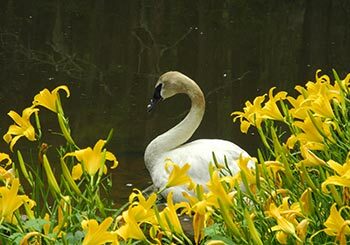 Of course, Number One on the list is Sumter’s largest tourist attraction, boasting more than 600,000 visitors per year—Swan Lake Iris Gardens. Located in the heart of the city, Swan Lake is the only public park in the US known to be home to all of the eight swan species. 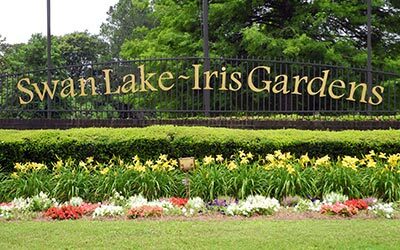 With a four-season blooming schedule encompassing almost everything from azaleas to zinnias, and an abundance of fascinating wildlife, the 150-acre park is a place to relax, unwind, and enjoy life. 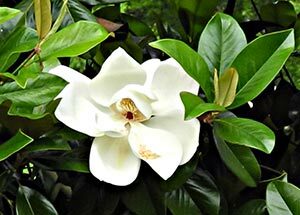 It is also home to two of Sumter’s largest annual events, the Sumter Iris Festival and the Fantasy of Lights. You can read more about Swan Lake Iris Gardens here. What a wonderful place to begin your adventure—and keep up with it online at TrackYourAdventure! So get to the Visitors Center (open Monday-Friday, 8:30 a.m. to 5 p.m.), get your passport, and happy wandering! Coming up: The Sumter Opera House and Sumter County Museum. This entry was posted in Sumter SC Tourism, Sumter, South Carolina, Visit Sumter SC and tagged birdwatching, Camellia Island, City of Sumter, family-friendly, gardens, Grainger McKoy, Japanese iris, outdoor recreation, passport, Recovery sculpture, SC, sculpture, South Carolina, Sumter, Swan Lake, Swan Lake Visitors Center, swans, tours, Track Your Adventure, trails. Bookmark the permalink.